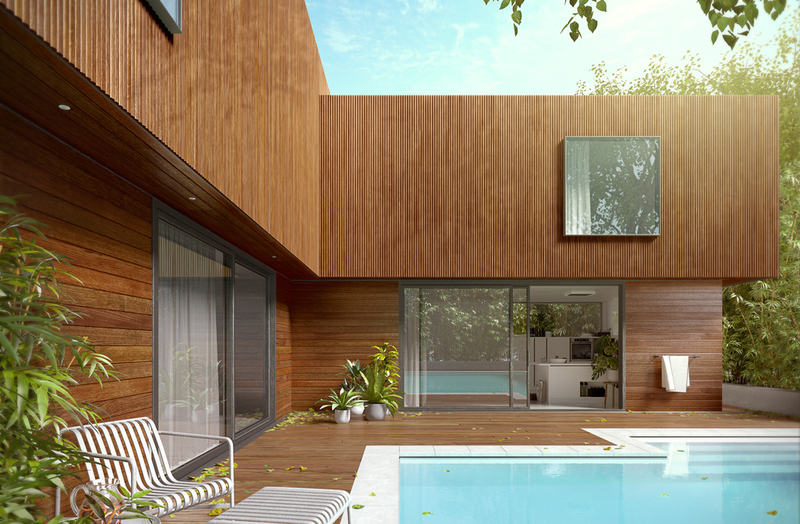 Australian-owned and operated timber supplier Porta has released a new exterior timber cladding solution called Endure, created by combining durable Porta Cumaru hardwood with an engineered design. The new product has evolved from the research and development by Prof. Perry Forsythe, Professor of Construction Management, at the Faculty of Design Architecture and Building at University of Technology Sydney. The results from his project have provided a number of innovative features, from small ones such as the protective rounded corner and angled drainage recess, to large features including the extended overlap and robust tongue. The Cumaru hardwood is durable, has near zero-leaching and is termite resistant. It’s also FSC certified as being responsibly harvested and processed. “FSC practices assure protection of the forests’ biodiversity and ecological processes and ensure local workers, communities and indigenous populations rights are upheld – making it a socially, environmentally and socially sustainable option,” adds Kelly.